I really enjoy being Creative Director at OandB, especially because of our clients, driven by passion and working hard to make a change for the better (sometimes volunteering). I find this very inspiring for my day to day creative work. My work also allows me to choose a pro bono project and to help the community the way I see it. On March 2017 I chose my son’s school PTA (Windmill School Association). 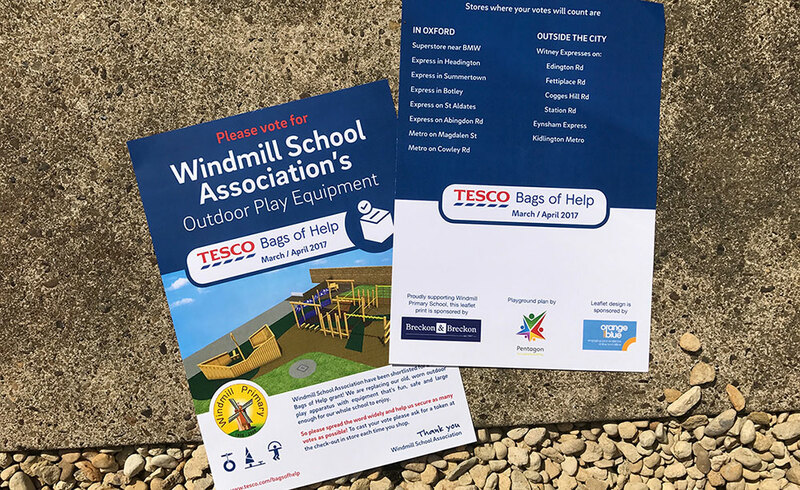 Windmill Primary School’s project was shortlisted as one of three projects to vote in Tesco’s Bags of Help Grant. The request was for outdoor play equipment. I designed A5 leaflets and A3 posters to hand around the school. 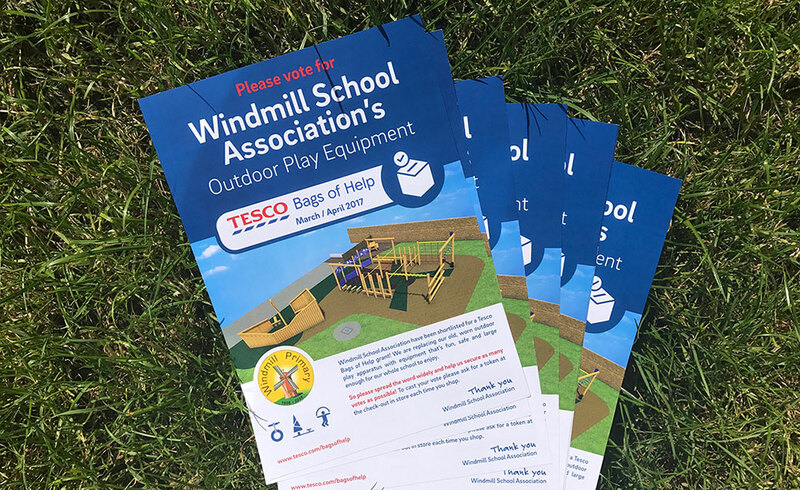 The main message was a call to action to go and vote in the regional Tesco stores and to show parents the end goal with a beautiful 3D simulation image of the Play Equipment by Pentagon. The project was printed with the courtesy of Breckon and Breckon, Headington. Voting has now finished and we were very pleased to know that the campaign was successful. Thanks to all the supporters, parents and community, the school received an award. Well done Windmill Primary School and WSA! Reut is OandB's Creative Director and UX Designer. Loves the creative process of every project (brainstorming with the team is the best part).